Equalization is one of the most important signal processors - perhaps the most important signal processor - for mixing and mastering. This book goes beyond explaining equalization to giving essential tips on how to use equalization to make better music. Written in a clear, practical, non-intimidating style, topics include: · Equalizer parameters · When to use different equalizer responses · Linear vs. non-linear phase EQ · Plug-in formats, mid/side equalization · Typical equalizer controls · Real-world examples of EQ in products from Ableton, Apple, Avid, iZotope, Steinberg, Propellerheads, Cakewalk, Softube, Studio One, Waves, Universal Audio, and more. The book then covers general tips (solving problems with EQ, emphasizing instruments, when to apply EQ, applying mid/side EQ, understanding EQ curves, and more), then segues into EQ curves associated with musical styles, and presents a variety of EQ presets for drums, guitar, piano, voice, and bass. The book closes out with typical equalizer mastering presets, a special section on equalization tips for guitar, and includes an appendix on understanding frequency response. 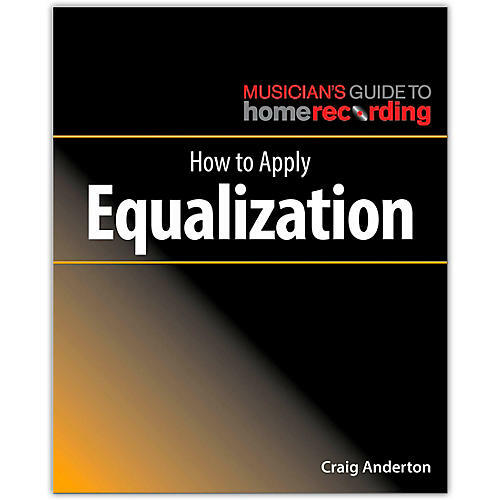 Chock full of illustrations and featuring the judicious use of sidebars to give details on selected topics for those who want to know why as well as how, How to Apply Equalization is essential reading about how to get the most out of this crucial processor for mixing and mastering.